Three other events were televised. 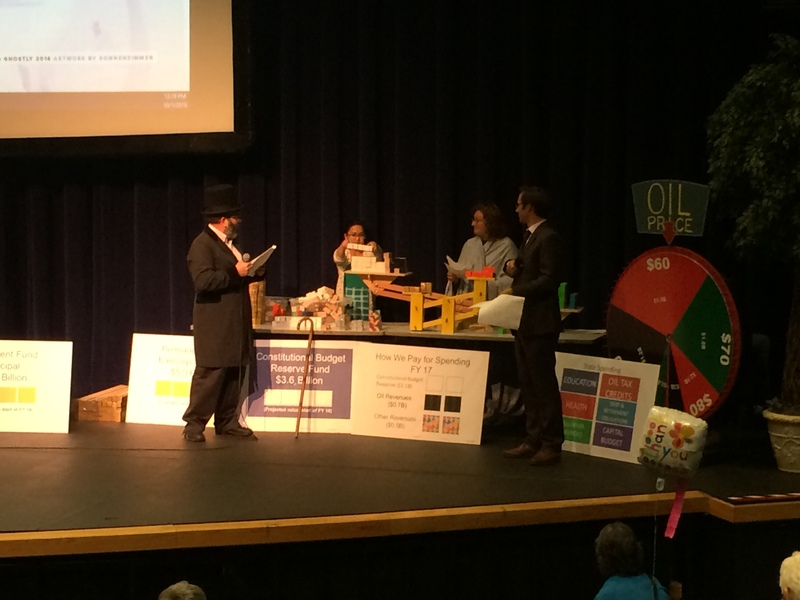 I made two “Lunch and Learn” presentations in the Capitol, one on questions of history and values associated with the fiscal challenge and the other a demonstration of the Alaska Fiscal Balance Game. ISER Professor Emeritus of Economics Gunnar Knapp, Department of Labor Economist Caroline Schultz, and I appeared on a panel discussion before a live audience in the studio of KTOO public television. 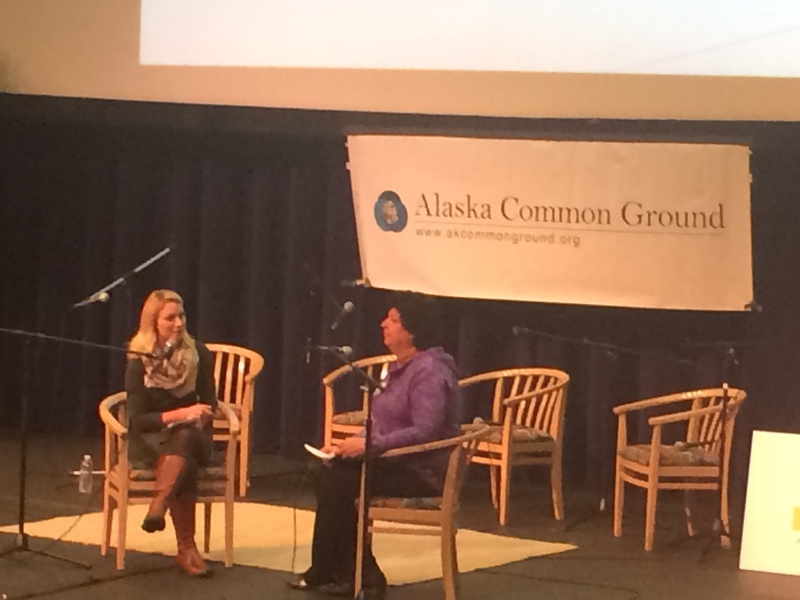 The Lunch and Learn events were televised on a delayed basis within the Capitol, and the panel discussion was shown on Gavel Alaska public TV. 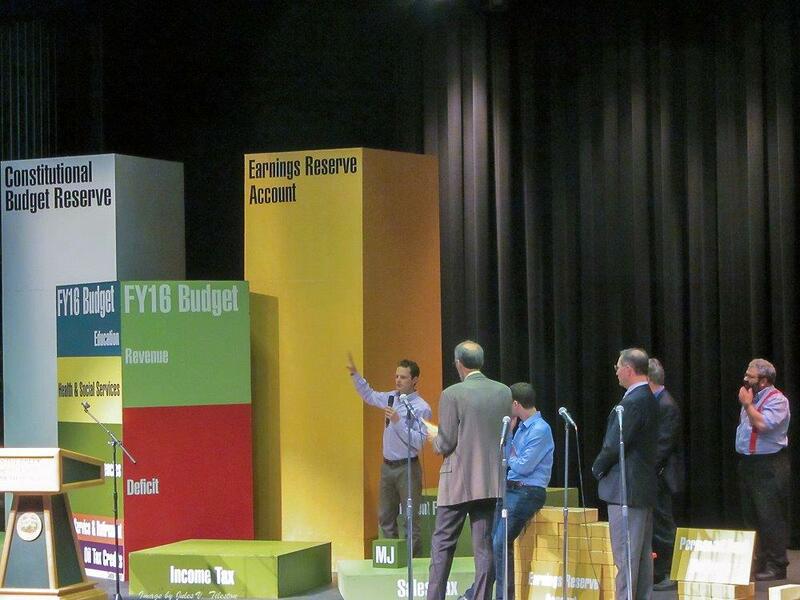 Gunnar Knapp and I also made presentations and answered questions at a campus-wide event at UAS. Then there were the events where Gunnar and I spoke that were less traditional and even more fun. There was free ice cream at “Get the Scoop on the Budget” at Coppa, with special flavors for the occasion—Fiscal Crunch (maple caramel ice cream with cinnamon and nutmeg brittle) and Sustainable Budget (blueberry ice cream with chocolate fudge chunks). Later that same night, there was free beer at “Beer and Budget” in the back room at McGivney’s. 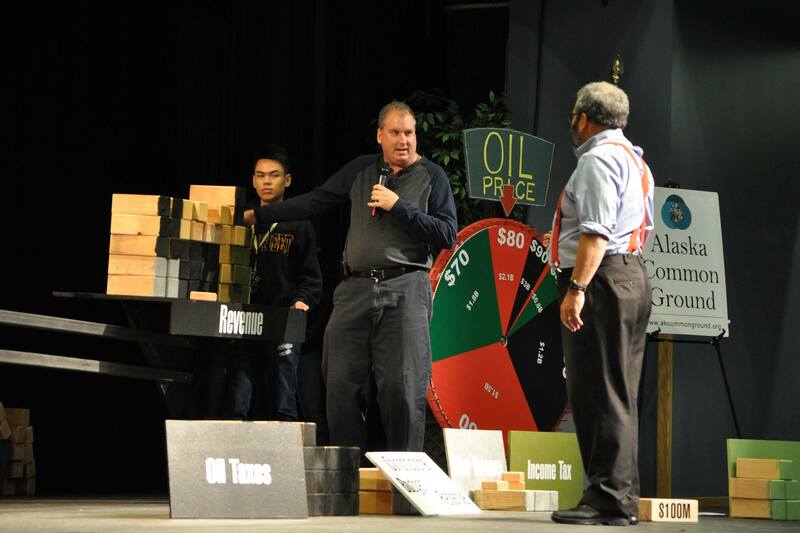 The events at Coppa and McGivney’s were the focus of a story that ran on “Alaska News Nightly,” the flagship evening program of statewide public radio. 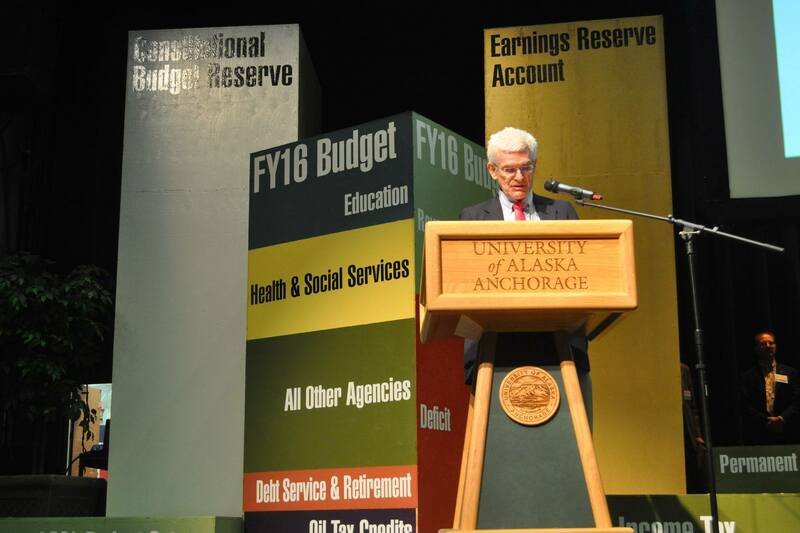 In addition to those seven events open to the public, I gave a guest lecture at one UAS course and demonstrated the Alaska Fiscal Balance Game at another. 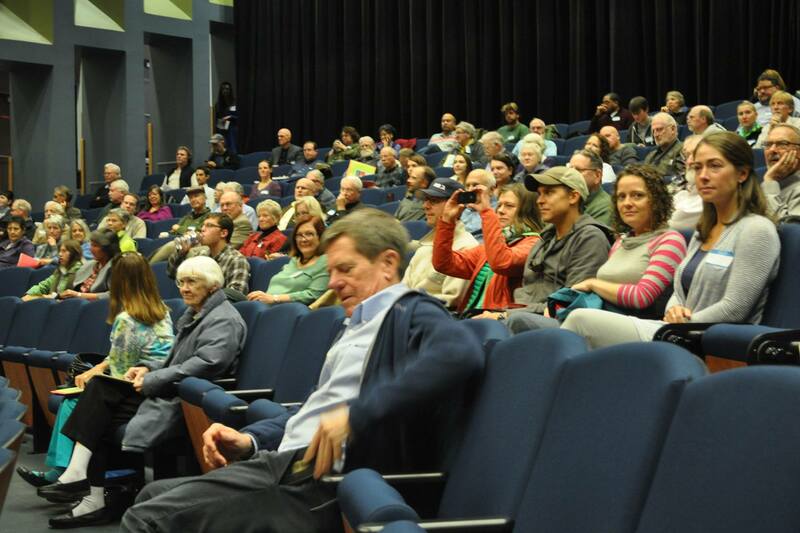 The feedback to these events has been overwhelmingly positive. 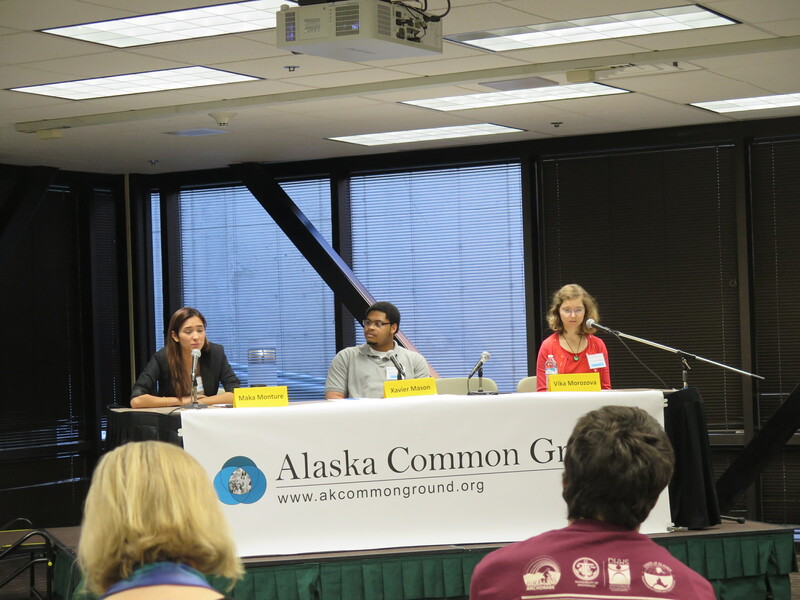 As an example, two legislators—the Speaker of the House (a Democrat) and the Chair of the Senate Rules Committee (a Republican)—asked me immediately after the Policymakers’ Fiscal Forum to arrange for Alaska Common Ground to hold another similar event soon. There was surprise in the Capitol at the turnout at the Red Dog, as some legislative staff members and at least one legislator had told me before the event that few of their colleagues would go to an educational event where they had to pay for their own food and alcohol. Several people deserve thanks. UAS Professor Jim Powell organized the campus-wide event as well as the gatherings at Coppa and McGivney’s. Theresa Philbrick designed the flyers, helped publicize the events, and paid for (and named) the ice cream flavors. Alaskan Brewing Company donated the beer at the McGivney’s event. Three volunteers from the League of Women Voters staffed the table at the door of the Red Dog and circulated the question cards. 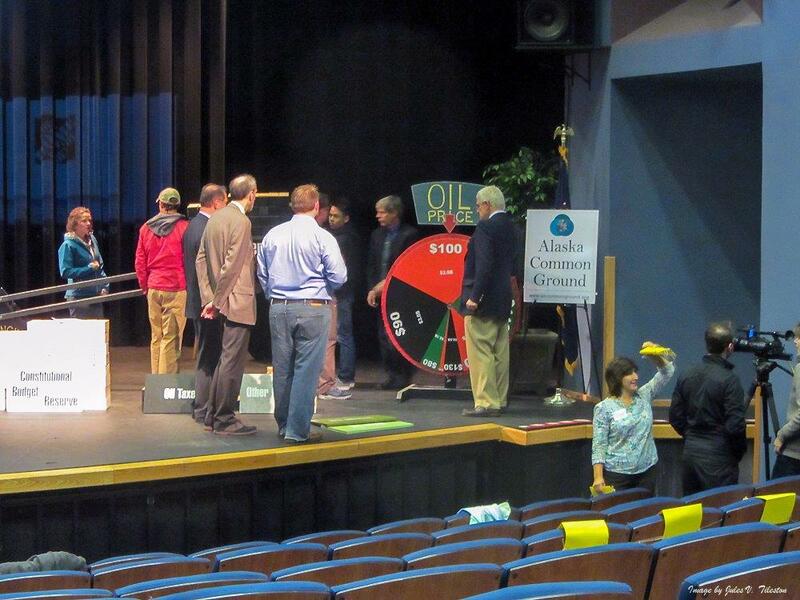 Future gatherings could include additional events in Juneau featuring policymakers answering questions from each other and from the audience as well as a demonstration of the Alaska Fiscal Balance Game in a Juneau bar. 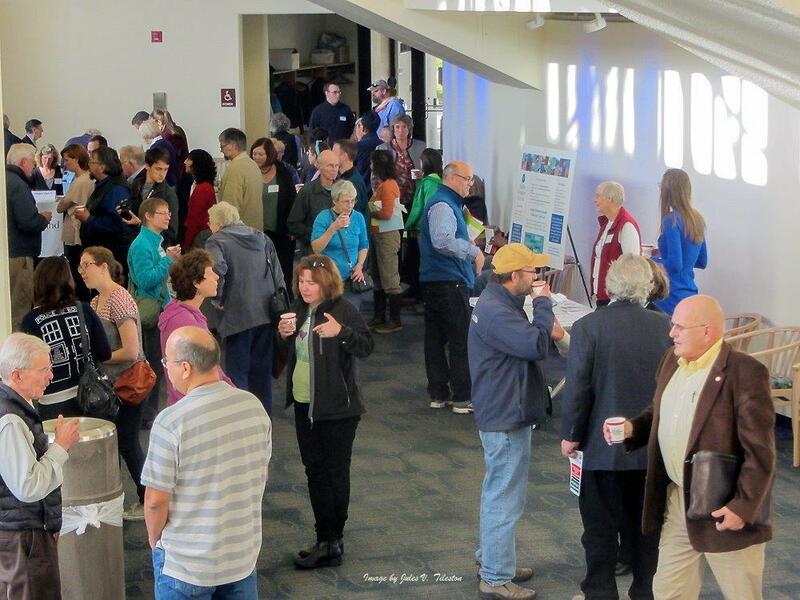 I have also been asked to explore the possibility of holding Alaska Common Ground events in the next few weeks in Fairbanks and the Matanuska-Susitna Valley that would have policymakers talking about the fiscal challenge. I have also had discussions about making presentations to civic and professional organizations in Juneau.